HOUSTON - Has your credit card been skimmed at this gas station? Three Precinct 3 deputies' credit cards were skimmed at a Texaco gas station in northeast Harris County on Thursday. 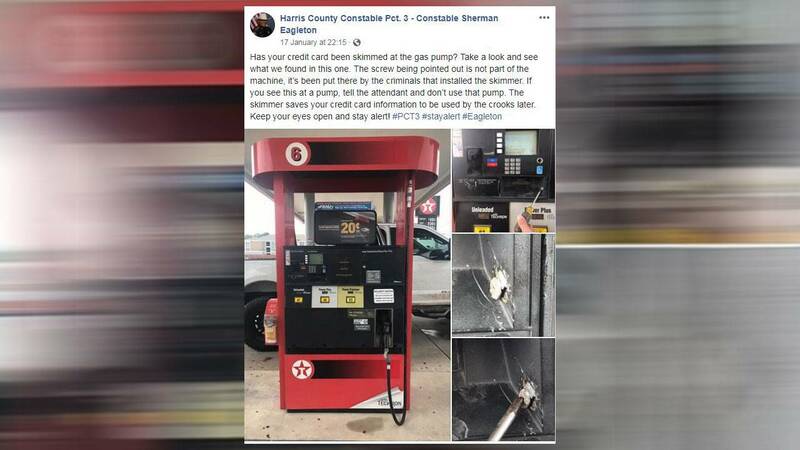 Officials investigated the gas station at 14400 Wallisville Road and discovered someone put the skimmer inside the gas pump, deputies said. The scammer opened the pump door and placed the skimmer inside, deputies said. The scammer had to close the door by using a screw, removed the servicing tape and concealed the screw with gum, deputies said.